A degree in Business Administration offers an excellent education for a wide range of positions in the business sector, banking, investments and manufacturing industries. Career advancement in large corporations, as well as small businesses, can be achieved. 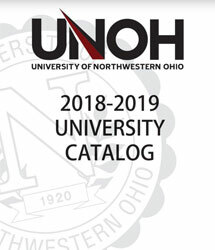 The University of Northwestern Ohio has been graduating successful business owners, leaders, major decision-makers and employees for over ninety years. Our programs offer an innovative, interactive approach toward Business Administration education, offering associate degrees, baccalaureate degrees and a master's degree in Business Administration. With the Bachelor's degree in Business Administration, students can also select concentrations in Marketing, Agribusiness, and Automotive Management. You also have the opportunity to obtain an Associate of Applied Business degree in either Business Administration or Marketing. You can receive an associate degree with a dual major in Business Administration and Marketing in just 18 months. Our faculty provides continual individual attention - you won't be taught by a graduate assistant. We offer the Flexible Learning Evening Program or online program. It takes only 8 quarters for an associate degree and 6 additional quarters for a baccalaureate degree if you meet all requirements. 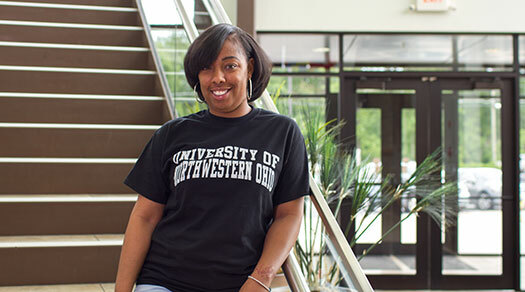 No matter what your goals are, you'll be prepared with a degree in Business Administration from the University of Northwestern Ohio. Please see Graduate College for information on our MBA program. Additional information related to student achievement in this program can be found on college navigator.